22nd Street Park after sunrise. Memorial for Cpl. Roberts on Nebraska Avenue, south of Busch Avenue. 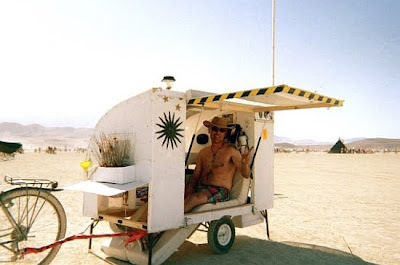 The famed Bicycle Bash sign trailer is hardly the only big trailer out there. Here's a bicycle-towed house with all the comforts of home. 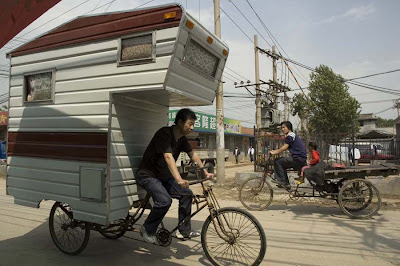 Check out more photos of this house trailer that gets towed by bicycle. The bicycle is an amazing device. It can even be a musical instrument. Need a serene place in the Big City? Check out Tampa's 22nd Street Park. It's the last Friday of the month, which means it's Critical Mass ride time in Tampa. We started near the Lowry Park Zoo and took the right lane down to downtown Tampa and Ybor City and headed back for about a 15-mile round trip. We had great relations with the drivers as we waved and hit the bells and shared the road in friendly style. Some drivers appeared clueless when we took the lane but most smiled and enjoyed sharing the road. Biking in Tampa: Not as crappy as you think. Heading out on Sligh Avenue. Taking the lane right after sunset. THIS JUST IN -- Deer gets back at man. ESOPUS, NY (Hudson Valley) — A 68-year-old man died Thursday morning after the bicycle he was riding struck a deer, Ulster County Sheriff's Office officials said. Warren “Bud” Clarke was riding his bicycle on Pokonie Road in the hamlet of Ulster Park when he collided with the deer and was knocked off his bike. He was later pronounced dead at Benedictine Hospital in Kingston. Police said he had been wearing a helmet. Clarke was a former member of the county tourism board and founded the Clarke/Thompson Advertising & Design company with his wife. The best food writer in Florida just happens to work for the Tampa Tribune and I'm proud to call myself a good friend of this guy. Jeff Houck writes, blogs and comments about the people who do food -- not the same, boring recipe stories you see printed year after year at Thanksgiving, Christmas and Halloween. He uses every media at his disposal and has some terrific stuff in a recent podcast. Jeff talked with Chris Cosentino, a big-time chef and former professional cyclist. He talked a little about his endurance cycling during the show. Do you want to be a volunteer for the 2009 Bicycle Bash by the Bay, Presented by Cure on Wheels on Oct. 11 in downtown St. Petersburg. I need your help. Contact me at alansnel@yahoo.com. We are having a Bicycle Bash by the Bay volunteers meeting on Sept. 12. 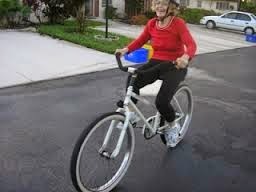 The town of Jupiter Island in Martin County -- about 30 miles north of West Palm Beach Post on Florida's East Coast -- is proposing to ban bicycle groups of five or more in its swanky town of huge estates, mansions, compouunds and hedges. I used to bike on Jupiter Island all the time when I lived in Martin County and let's just say the people who live there are not the most hospitable folk. Should your bike group bike single file or two-abreast -- and how many bicyclists should you have in a single group? Mighk Wilson has some interesting things to say on the matter. Uh-oh, looks like the bikini-thong bicyclist of Tallahassee got in hot water for showing a bit too much. I'd hate to be the witness to the bikini-bicyclist's junk down below, if ya know what I mean. In case you're wondering why I think Flatwoods is worth fighting for to keep the place open to the public seven days a week, here are a couple of reasons I found at dusk tonight. It's hard to find a more pretty undeveloped area in metro Tampa Bay than Flatwoods. In the past few days, I have received an array of e-mails from friends sharing their bicycle clips, stories, videos and photos. Let's start with Willie Drye, my good pal from North Carolina who sends in this item. 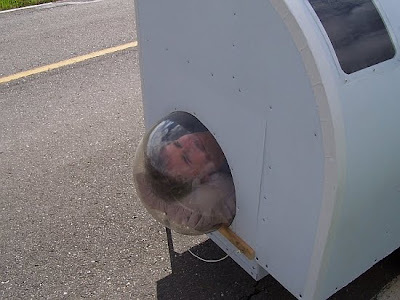 Who needs a tent when your housing is right on your bicycle. My former newspaper pal Lerry Lebowitz from Miami sends in this catchy item showing a fun bike video and quite the catchy tune. 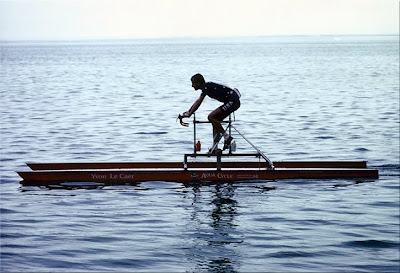 Another fella from South Florida, Yvon Le Caer, enjoys bicycling the ocean as you can tell from this photo. And then there's my New York friend David Regen, who I used to cycle with in college. He posted a a terrific bicycle web site on his Facebook page. When you're on a bicycle cycling around the neighborhood, you see life up close. Sometimes, not all of it is pleasant. Like this memorial display on the west side of Florida Avenue, north of Hillsborough Avenue. Last year your "Rays win, You win" promotion of giving a free donut to Rays fans after every Rays win at Tampa Bay Dunkin' Donuts stores was the magical mojo that propelled the Rays to the World Series. I knew this year the Rays would struggle in April when Dunkin' Donuts changed its free donut promotion and required people to buy a drink in order to get a free donut after every Rays win in 2009. You messed with the Rays free-donut mojo, which meant you messed with their season. The Rays had an April record of 9-14 and never sniffed first place ever since. Now the Rays are hanging on to the wild card race to make the playoffs and Bicycle Stories is pleading with you, Dunkin' Donuts, to return to last season's free-donut promotion that carried the Rays to the Series for the final 40 games of this season. I know in my hungry-for-donuts gut that the Rays will not make the playoffs without the free-donut deal. But, return to last season's donut promotion and I know the Rays will beat out the Red Sox and Rangers to snag the Wild Card playoff berth. And Bicycle Stories is willing to put its legs where its mouth is. Give a free donut to any fan after every Rays win for the rest of the 2009 season and I know the Rays will make the post-season -- and to celebrate Bicycle Stories will bike 100 miles from my house to Tropicana Field the day after the playoff-clinching game and visit a record 14 Dunkin Donut stores along the way! Last year, Bicycle Stories biked 100 miles and visited 13 Dunkin' Donut stores on the day after the Rays clinched the playoffs. And now Bicycle Stories is offering to top that with 14 stores! Dunkin' Donuts, do the right thing and let the fans eat those free donuts after every win as the Rays make their playoff bid down the stretch. Check out this happy family last year. They pedaled to a local Dunkin' Donuts to get a free donut after a Rays win last year. Let's return to the Rays Victory Donut policy of the magical 2008 season. Derek Jeter's house-construction-site-as-tourist-attraction on Davis Islands was a front-page story in the Tampa Tribune today and guess what photo ran on the inside jump page on Page 4. The Seminole Heights Bicycle Club ride on Saturday, Aug. 15, stopped at the Jeter Compound and was part of the show. 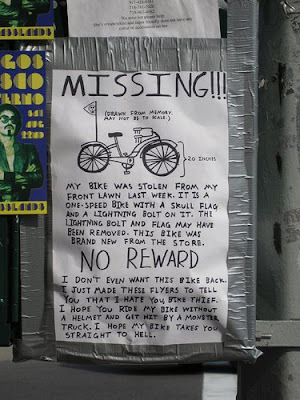 You Stole My Bike . . . So No Reward! Far from the grime of Nebraska Avenue and the lifeless after-hours downtown of Tampa is one of the city's great unknown gems -- the 22nd Street Park's open fields and arboretum-like feel near the Hillsborough River. It's one of the best places to take a mountain bike and explore the hidden off-road terrain. Bridget and I checked out the landscape and it was spectacular today. At Flatwoods you have to be careful of an errand wild boar crossing your path, but when you're cycling in Botswana, make sure you don't bike into a giraffe on a game reserve. Has this happened to you? Denied at a drive-thru while on a bicycle? 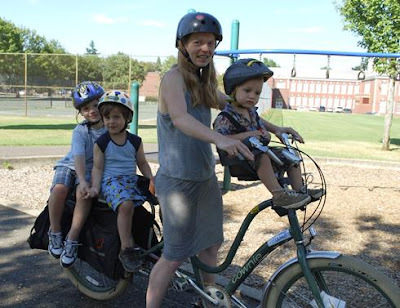 It happened to this mother of three in Portland. Funny thing is, the drive-thru burger joint says it's environmentally-conscious. By law, motorists are supposed to give a wide berth when they pass bicyclists. But a group of cyclists in Boca Raton thought 69-year-old Miles Barish crowded them when he passed, according to SunSentinel.com. Some witnesses even told police that Barish hit one of the bicycles as he passed. He denies that, saying he tapped his horn to let them know he was there, then passed in the opposing lane. When he stopped at a stoplight, the pack caught up, and a confrontation ensued. According to police, one cyclist grabbed Barish and threatened to beat him up while others punched and kicked his 2008 Lexus convertible. Now, he’s got a car with dents all over it, and one of the cyclists, 50-year-old Thomas McDonald, is charged with assault and battery on a person 65 and older. 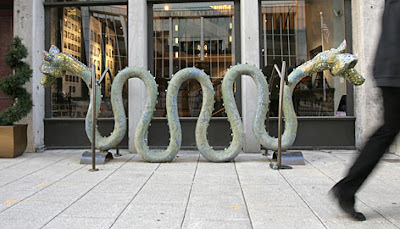 While cycling on Manhattan Avenue in Tampa today, I learned where ulcers come from. Tampa, Can You Spare A Bike Lane On Gandy? As you know, you don't have a good reputation as a hospitable place for bicyclists. When Gandy was redone, you could have worked to stripe the road to include a new bike lane. Instead, bicyclists are left with this. No bike lane. Guess I'll be taking the right lane, like I did today. So, I'm cycling through downtown Tampa today and I see a Tampa Bay Lightning banner on a utility pole in front of the arena named for a local newspaper in town. Talk about truth in advertising for the upcoming Lightning season. I'd say more bad and ugly when it comes to the upcoming Lightning season. This year, the 2009 Bicycle Bash by the Bay, Presented by Cure on Wheels will be in beautiful North Straub Park in downtown St. Petersburg. This year, we will have a special awards ceremony during the Bicycle bash by the Bay. Bicycle Newswire has the four winners of the SWFBUDdy Award that will be presented during the Bicycle Bash. It was disappointing Tuesday that the Pinellas County Commission voted against applying for federal TIGER transportation grant money of $20 million to fix and re-open the Friendship TrailBridge, which has been closed since November. We can spend $10 million on a highway exit like the one one off Veterans Highway but Pinellas won't even apply for a grant that would re-open the Trail, used by 600,000 users a year. Hillsborugh County Commissioners voted 5-2 to apply for the grant, and it's a sad day in August when Pinellas is more unenlightened than Hillsborough. If Hillsborough voted 5-2 to apply for the grant, I thought Pinellas could follow suit. SWFBUD is now considering giving the Pinellas County Commissioners the dreaded "Smelly Glove Award" for actions against the interests of bicyclists. Pinellas' commissioners have a track record of voting against its residents' wishes. Several hundred residents attended public forums last month imploring public officials to fix and re-open the TrailBridge. This afternoon, I represented SWFBUD in front of the Pinellas County Commission to ask the commissioners to join forces with Hillsborough County and apply for a federal TIGER transportation stimulus grant of $20 million to fix and re-open the closed Friendship TrailBridge. Hillsborough's commissioners voted 5-2 to apply. After I spoke, SWFBUD member store co-owner Dottie Jessup of Chainwheel Drive of Clearwater and Palm Harbor also spoke for the hundreds of Chainwheel Drive customers who use the TrailBridge and she also asked the commissioners to apply for the TIGER federal money. Interesting enough, one of the Pinellas County commissioners -- Nancy Bostock -- was a former student of Dottie Jessup, who taught in Pinellas and Hillsborough schools. Here's Dottie addressing the county commission. I hope Commissioner Bostock takes the advice of her former teacher. Tampa Bay's award-winning bicycle festival -- the 2009 Bicycle Bash by the Bay, Presented by Cure on Wheels -- is Oct. 11 in downtown St. Petersburg in North Straub Park and Bicycle Stories will be offering an occasional sneak peak at some of the activities for this year's event. 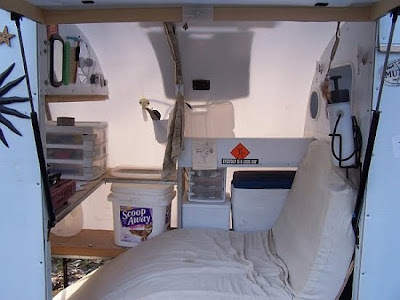 I met a young woman in late March 2008 who was cycling from Miami to Montreal on US 27 with a long trailer that included a guitar. It was Rachel VanSlyke, a willowly, long-legged bicyclist-singer changing a tire tube in front of the Dundee Library in a small Polk County place called Dundee. I biked about 15 miles with her north along US 27 and then wished her well when I tured around to bike back to Dundee. We stayed in touch and I'm happy to say that Rachel will perform at the 2009 Bicycle Bash by the Bay. Rachel's beautiful folksy/soft rock voice and guitar talents will be on display at the North Straub Park stage. To hear her voice, click here. Cure on Wheels, a local cahrity bicycle ride that raises money for local cancer research, is working with two great organizations to provide food at the Bicycle Bash by the Bay. The famed Columbia Restaurant, owned by bicycle supporter Richard Gonzmart, and the Westchase Rotary will be serving up delicious food at the Bicycle Bash by the Bay. Richard's Columbia will be serving up paella, while the Westchase Rotary will be offering BBQ. SWFBUD puts on the Bicycle Bash by the Bay to grow and promote bicycling in the Tampa Bay area. It is a free event. If you want to be a volunteer, Friend of SWFBUD, exhibitor or sponsor for the Bicycle Bash by the Bay, contact SWFBUD director Alan Snel at alansnel@yahoo.com. Our latest Friends of SWFBUD are Amy and Ken Sturrock. 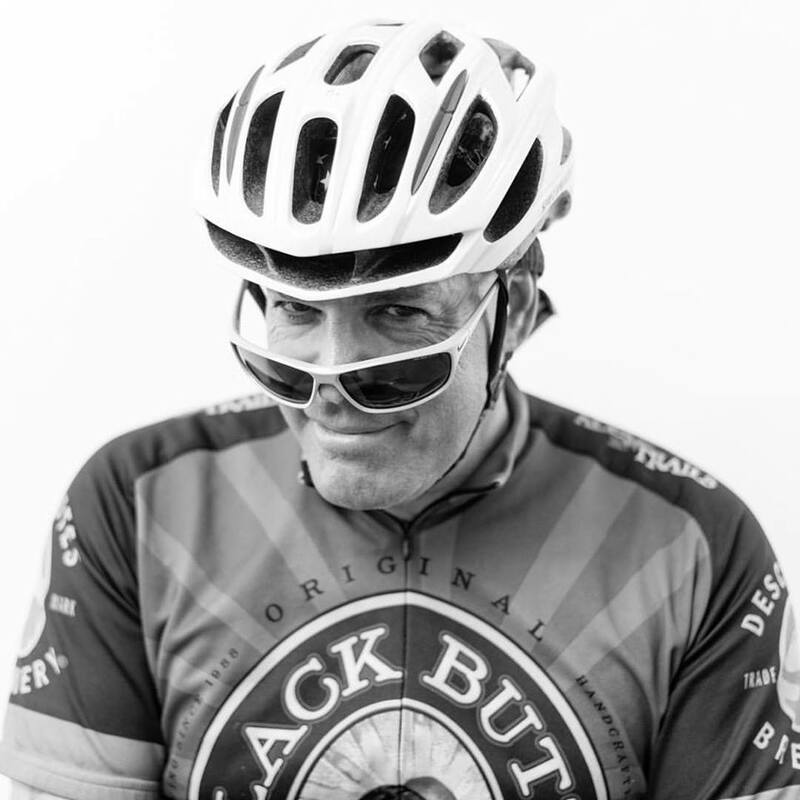 Ken is a member of the Hillsborough County Bicycle-Pedestrian Advisory Committee and the Sturrocks are active members of the Seminole Heights Bicycle Club. 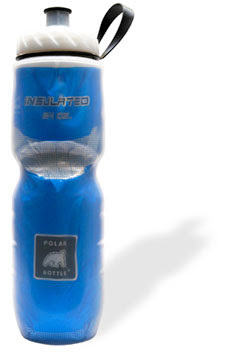 A Friend of SWFBUD costs only $25 and you receive a new Polar Bottle waterbottle. Help move the bicycle movement forward in Tampa Bay. From St. Pete Times. Another bicyclist is dead. ST. PETERSBURG — Police are looking for the driver of a dark-colored Toyota they say hit a bicyclist Monday night and fled the scene. About midnight, officers got a complaint about a brawl at Bayside Drive S and Fourth Street S. When they arrived, police say the Toyota compact car sped away, going west on 22nd Avenue S and hitting a bicyclist, 49-year-old Robert L. Dunbar. Police say the Toyota kept driving. Dunbar, who had been trying to cross the street at 11th Street S, was taken to Bayfront Medical Center, where he died. Police said the Toyota has significant damage. Anyone with information about the accident or the car is asked to call (727) 893-7780. If you want Hillsborough and Pinellas counties to work together to apply for a federal grant to fix and re-open the Friendship TrailBridge, please attend a Pinellas County Commission meeting at 315 Court St. in Clearwater Tuesday. Sources tell me the county's public works director has recommended AGAINST applying for the federal grant and that several of the county commissioners also do not support applying for the TIGER transportation grant. Please attend the County Commission meeting Tuesday afternoon and sign up to speak FOR the grant to fix and re-open the Friendship TrailBridge at 2:30 PM for the afternoon 3 PM meeting. Sept. 26, 8 PM: The Bo's Ride. Get your lights and get ready for a night-time bike ride to Bo's Ice Cream parlor on Florida Avenue. Oct. 11, 11 AM-4 PM: The 2009 Bicycle Bash by the Bay, Presented by Cure on Wheels. Look for the SHBC tent at the Bicycle Bash -- Tampa Bay's bicycle festival at North Straub Park in downtown St. Petersburg. Nov. 7: Wow -- a tripleheader. First, 8:30 AM, enjoy the Tour de Brisket bike ride, an easy 5-mile ride through Seminole Heights. Second, Mid-Day, look for the SHBC tent at the Fall Festival in Seminole Heights. Third, it's the famed SHBC Movie Night with a pot luck at 6 PM and a bicycle-theme movie -- The Amateur -- at 7 PM. Nov. 28: The Thanksgiving Leftovers Ride. A bike ride to the 22nd Street Park for a meal of leftovers! Dec. 5: 8:30 AM, The Holiday Ride at 8:30 AM, the easy family ride followed by an evening holiday party at the home of SHBC members Faye and Wes. Today I visited St. Petersburg and saw a cool artistic bike rack in the shape of a bicycle on Central Avenue and wondered why more cities don't use art work to double as bike racks. 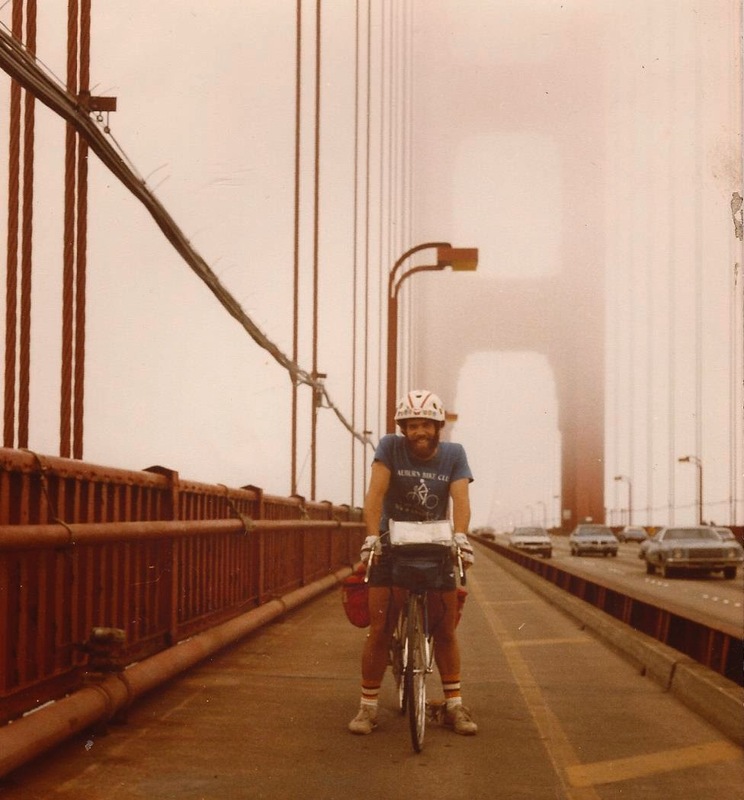 When I biked aross the country in 1983 and 1989, I cycled in late summer and early fall. It's my favorite time to cycle. The furnace edge of summer is off and there's a sense of seasonal change in the air. 1. Mount Evans, outside Denver in the Rockies. You like climbing hills? Time to hit the Major Leagues and bike up Mount Evans. Elevation: 14,240 feet. The alpine terrian is mesmerizing. The last 5 1/2 miles are pure switch back but the grind to 12,240 feet is worth it. 2. Hudson Valley, north of New York City. The Hudson Highlands and the sheer cliffs to the Hudson Riber's shores make for scenic cycling and a roller-coaster ride. Third week in October is perfect for fall foliage. 3. Oregon Coast. The most underrated cycling of the country. The Pacific coast in Oregon offers a variety pack of visual gems -- capes, dunes, beaches, mountains, fishing villages, affordable campgrounds and old bridges. 4. Blue Ridge Highway. The nation's oldest and longest parkway, the Blue Ridge Highway is home to Mount Mitchell. Visit Asheville and Boone, NC. Great roller-coaster cycling in North Carolina. 5. Finger Lakes, central New York State. There's a beautiful zen to cycling the long, gently rolling hills of the Finger Lakes region, where roads criss-cross through farms and small towns. Late September and early October are ideal times. Tell me your Top 5 and Bicycles Stories will publish some of the best of the best places to bike. 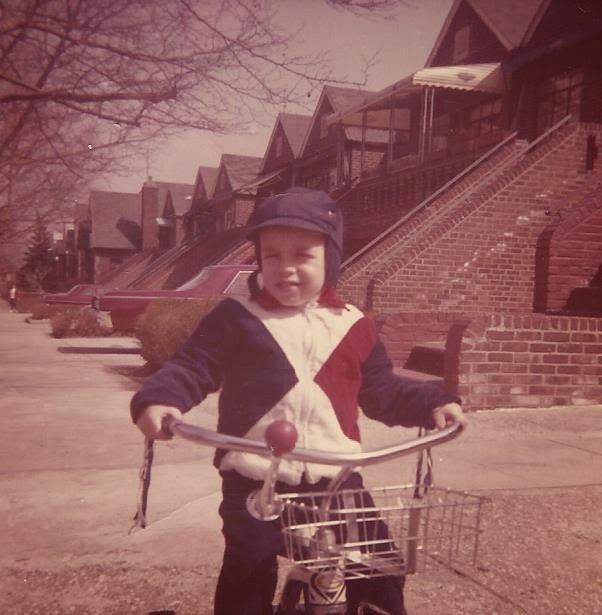 Every now and then, Bicycle Stories will publish the cycling tales of everyday bicyclists. One such bicylist is Jose, a mild-mannered, green-vest-clad veloman who will bike on just about any bike ride in the Tampa area. Here is his story about a bike ride today. It seems that my love of long rides has caught up with me. The MacDill Freewheelers had a ride this morning, starting from Phillippe Park in Safety Harbor. Before leaving home, I spent about half an hour watching a lot of rain on the radar, but since it seemed to be staying out in the Gulf, I decided to ride out to join them. I left home a few minutes after 6 AM. Soon afterwards, while riding through a quiet neighborhood, I spotted a large loose dog on the right side of the street about 75-100 feet ahead of me. Suddenly, it charged straight toward me. I sped up and swerved left, passing it. It swung around behind me and came racing up my left side, growling angrily. I looked down at it, said, "Bye, bye pup," shifted to a higher gear and quickly left it behind. I chuckled as it faded away in my side mirror, but that four-legged furball was just the start of my canine trouble. I made my way to Hillsborough Ave. and rode on it most of the way. Now and then the western horizon was lit up by sheet lightning, but it was much too far away to hear any thunder, and as I rode the lightning seemed to get less frequent. I was going along at about 18-20 mph most of the time. There was little traffic, but I got caught by a number of red lights. Stopping to take photos now and then, I reached Pinellas County, swung onto FL-580, then after a few miles turned onto FL-590. A mile or so from the entrance to Phillippe Park, I stopped to take a picture. When I went to get back on my bike, I noticed what looked like a gob of mud sticking to my rear tire. I tried to flick it off with my right index finger and discovered it was dirt-covered dog crap. Disgusted, I wiped my finger off on the side of the road and rode the rest of the way to the park with my finger extended off the grip. Luckily, there was a bathroom with plenty of soap close to the park entrance. The group ride was a lot of fun. Then about half the group went to a restaurant in Safety Harbor for brunch. The ride home was smooth and uneventful most of the way. Heading east on Hillsborough Ave., I stopped at the little park along the Hillsborough River that the SHBC River Ride used to pass. I went to a picnic table, ate a brownie, and drank some water. About two miles from home (about 70.5 miles since I'd left), I stopped for another drink of water, smelled something, looked down, and saw my right pedal smeared with dog crap. Of course it was on the sole of my shoe too. Disgusted again, I dragged my shoe through a patch of grass. I got back on my bike, started pedaling, heard a loud metallic snap, and the rear wheel started wobbling. The rear axle had cracked. So I got off and started walking the bike home. About a mile from home, an SUV with a man and woman in the front seat pulled up next to me. I smiled, thinking that a pair of Good Samaritans was stopping to see if I needed help. Their side window rolled down, and the man asked, "Can you tell us how far it is to the Hard Rock Casino?" I really had to smile then, because they were heading the wrong way. So I told them that the first thing they had to do was turn around and drive the other way. After getting the directions, they drove off without ever asking if I needed help. I finally made it home and quickly realized my day could have been worse. Less than two minutes after coming indoors, it started raining in torrents, so I just missed getting drenched. I'd left the bike outside, planning to go back out in a few minutes to hose off the pedal. At least the rain did the job for me. I guess the day was what Alan might call a "misadventure on the road of life. P.S. Unfortunately, this wasn't the first time I had to walk a bike home because of a broken rear axle. It happened to me last year with my Gary Fisher. That time I had to walk home about 4.5 miles. When cycling all around the Tampa Bay region, I get the unique opportunity to see many church sign sayings -- some earnest and some funny, while others are of the born-again, you-better-believe-or-you're-going-to-hell variety. It's all part of the religious quilt that's out there blanketing this neck of the woods. This morning while returning from a 59-mile ride, I saw this church sign with a saying that caught my attention on Livingston Road north of Bearss Avenue. I never saw a church sign saying that referred to people trying to win an argument with God such as this one. If this was Vegas and people were making a wager on the betting line, I guess you can take the Big G and give infinite points. 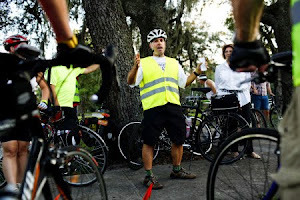 The Seminole Heights Bicycle Club held its third-Satuday-of-the-month long ride, staging two rides -- a fast one and a slower one. The fast ride cruised by the new house of Derek Jeter and we stopped to pose in front of the construction site. It all inspired rider Doug Jesseph to come up with this. Thank you Doug. On the way from Seminole Heights to Davis Islands, I enjoyed a beautiful sight -- the SHBC roadies zipping down Nebraska Avenue into downtown. The Ghost Rider wears his famous Cars R Coffins jersey. In case you're wondering what SWFBUD does for bicyclists in Tampa Bay, let me give you an example from this summer. Last week, SWFBUD successfully lobbied the Hillsborough County Commission to apply for federal money to fix the closed Friendship TrailBridge after SWFBUD attended TrailBridge public forums on back-to-back nights in St. Petersburg and Tampa several weeks earlier. Two weeks ago, SWFBUD met with Hillsborough County Commissioner Mark Sharpe to discuss ways of keeping the county's parks open 7 days a week after the county administrator proposed a budget that called for the closing of the parks two days a week. I, along with Brian Eckman of Carrollwood Bicycle Emporium and Randy Myhre of Olver's, met Sharpe two weeks ago and explained the importance of preserving the current parks schedule, which is open 7 days a week. SWFBUD also led a bike ride to a county budget hearing last month that included riders from SWAMP, BAADR, the Tampa Bay Freewheelers and the Seminole Heights Bicycle Club. It paid off -- this week the Hillsborough County Commission voted to tentatively restore the parks such as Flatwoods to a 7-days-a-week operation after the proposed budget originally called for the closure of county parks for two days a week. It's the behind-the-scenes, trench work like this that prompted Trek Bicycle Corp. to present SWFBUD with the national advocacy award this week. Congrats to SWFBUD and the six Trek dealers in SWFBUD. Only four months ago, Bicycle Retailer and Industry News, the trade bible that covers the bicycle industry in this country, gave SWFBUD a national advocacy award. SWFBUD is on the national radar and people around the country are recognizing our contributions to the Tampa Bay bicycle scene. Please support SWFBUD so we can continue standing up for bicyclists in the Tampa Bay area and join us in putting on the 2009 Bicycle Bash by the Bay, Tampa Bay's bicycle festival on Oct. 11 in downtown St. Petersburg. Be a volunteer, exhibitor or sponsor at the Bicycle Bash by the Bay or be a Friend of SWFBUD for only $25 and receive a free Polar Bottle water bottle. Join the bicycle movement in Tampa Bay. Did you know that in Idaho the law allows bicyclists to slow to a reasonable speed but not completely stop at stop signs before going through an intersection? For 25 years, cyclists in Idaho have rolled through stop signs-legally. According to that state's law, when a cyclist approaches an intersection controlled by a stop sign, the cyclist must slow to "a reasonable speed," but is not obligated to stop unless doing so is "required for safety:' After yielding to any vehicle that has the right of way, the cyclist may proceed. There's more: Cyclists are required to stop at ed light, 'but once stopped may then proceed without waiting for the light to change, after first yielding to vehicles that have the right of way. In effect, this law allows cyclists to treat stop signs as yield signs, and red lights as stop signs. Ed Hillman, from a transportation research office at USF called the Center for Urban Transportation Research (CUTR), offers this item from the bikeportland.org Web site on stop signs. SWFBUD won a national advocacy award last night from Trek Bicycle Corporation. John Burke, president of Trek, gave its national advocacy award to SWFBUD during a Trek show that drew six SWFBUD member stores. SWFBUD's advocacy work includes keeping Hillsborough County's parks open seven days a week, lobbying Pinellas and Hillsborough counties to fix and re-open the Friendship TrailBridge and holding the annual Bicycle Bash by the Bay. SWFBUD appreciates the national recognition from Trek, one of the most prominent bicycle companies in the world. To win a national advocacy award from Trek, which has 1,300 dealers around the country, is amazing and is testimony to the commitment of the SWFBUD Trek dealers to growing bicycling in the Tampa Bay area. In April, SWFBUD won a national retail advocacy award from Bicycle Retailer and Industry News, the trade publication that covers the bicycle industry in this country. It's easy to complain about cities and counties not building safe roads and facilities for bicyclists. Regrettably. too many elected officials marginalize bicyclists and do not vote for improved conditions here in the Tampa Bay area. But I have been lucky enough to find a few elected officials -- and even a baseball manager -- who publicly support bicycling in Tampa Bay. So, SWFBUD will be awarding the SWFBUDdy awards at the 2009 Bicycle Bash by the Bay on Oct. 11 to four people who believe bicycling makes the Tampa Bay area a better place to live. Here is the press release I sent out earlier today. SWFBUD (South West Florida Bicycle United Dealers), a Tampa Bay alliance of retail bicycle dealers, is proud to announce that four people in the public eye will be awarded with the coveted SWFBUDdy Award for their support of bicycling in the Tampa Bay area. SWFBUD will present the SWFBUDdy awards at the 2009 Bicycle Bash by the Bay, presented by Cure on Wheels on Oct. 11 at North Straub Park in downtown St. Petersburg. The awards ceremony will be at 1 PM during the bicycle festival, which goes from 11 AM to 4 PM. -- Hillsborough County Commissioner Mark Sharpe. Commssioner Sharpe has actively supported connecting the Upper Tampa Bay Trail with the Suncoast Trail, supported repairing the Friendship TrailBridge; and expressed his support for making Hillsborough County a destination place for bicyclists. -- St. Petersburg Mayor Rick Baker. Mayor Baker was instrumental in extending the Pinellas Trail to the St. Petersburg waterfront and has actively supported making the city of St. Petersburg one of the most bicycle-friendly cities in the southeast United States with its comprehensive bicycle plan and bike lanes. -- Tampa City Councilwoman Linda Saul-Sena. Councilwoman Saul-Sena is an ardent supporter of bicycling for transportation purposes in the city of Tampa and arranged an important meeting with the Tampa city public works administrator earlier this year to shine the spotlight on bicycle transportation in the city of Tampa. -- Tampa Bay Rays Manager Joe Maddon. Manager Joe pedals his bicycle in Tampa all the time and has said he comes up with some of his Rays managerial and team strategy while cycling. "There is a growing bicycle movement in the Tampa Bay area and there are many people in the public arena who are helping that movement. It was a very difficult decision to single out four individuals, but SWFBUD believes these four people make the Tampa Bay area a better place to live because of their public support for bicycling," said Alan Snel, director of SWFBUD. The Bicycle Bash by the Bay, winner of the 2007 Florida Bicycle Event of the Year as awarded by the Florida Bicycle Association, is put on by SWFBUD to celebrate, promote and advocate bicycling as a healthy lifestyle and effective mode of transportation in the Tampa Bay region. SWFBUD, a coalition of eight bicycle stores and one lawyer in Pinellas, Hillsborough and Pasco counties, was presented in 2009 with the national retail bicycle advocacy award out of 5,000 national retail bike dealers by Bicycle Retailer and Industry News, the trade publication that covers the bicycle industry in the United States. Check out this bike video. 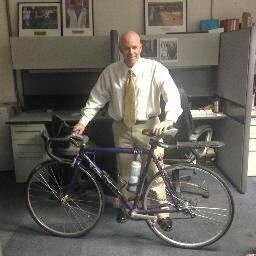 I'm the first to blow the whistle about the roads in Tampa and Hillsborough County that are dangerous and unfriendly for bicyclists. The majority of elected officials in the city and county do not stand up for bicyclists who want to pedal the road to places, so the government road builders/public works employees do not feel they have to design and build roads that are hospitable for bicyclists. But occasionally a new bike lane is striped around the Tampa area and that needs to be acknowledged. The city of Tampa is not known for striping bike lanes but the city did stripe bike lanes on a section of 40th Street and on the 40th Street bridge. At the USF campus, a road off of 50th Street leads into the campus and towards the campus sports buildings. The road has been repaved and it includes a bike lane. Good to see.